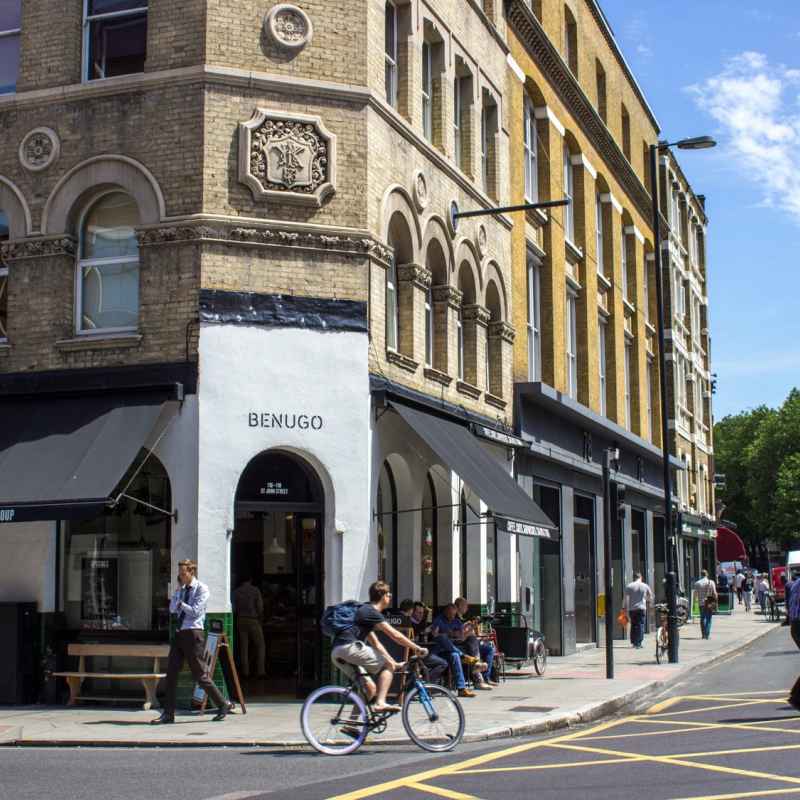 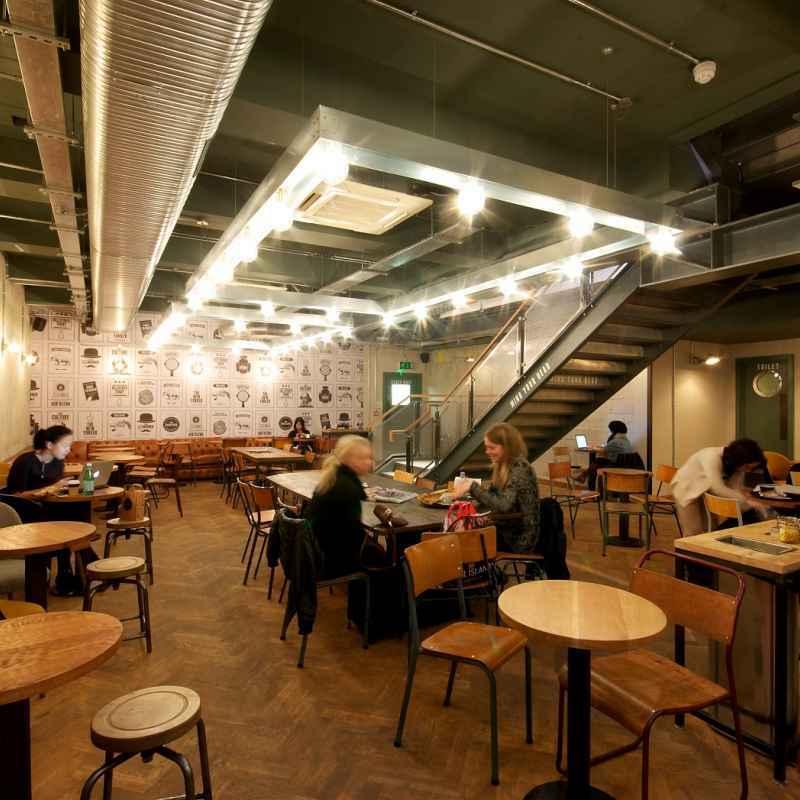 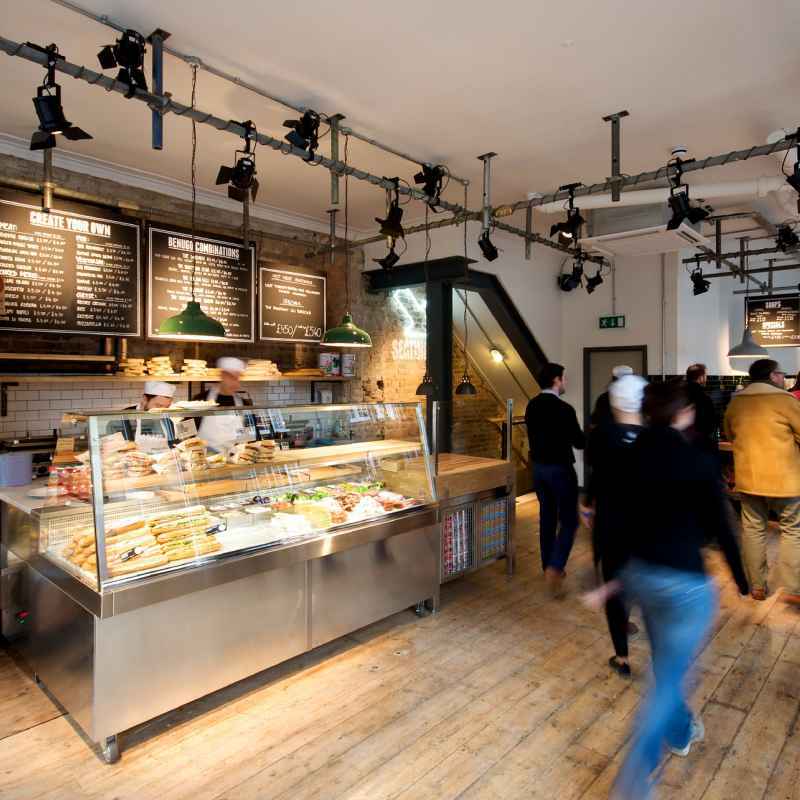 The first Benugo cafe was founded in Clerkenwell in 1998. 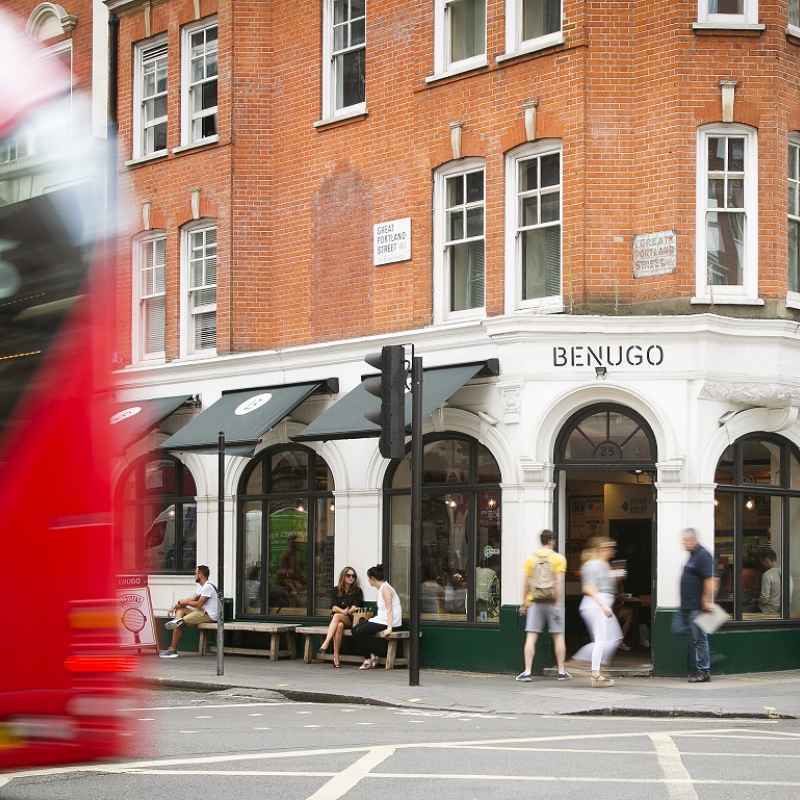 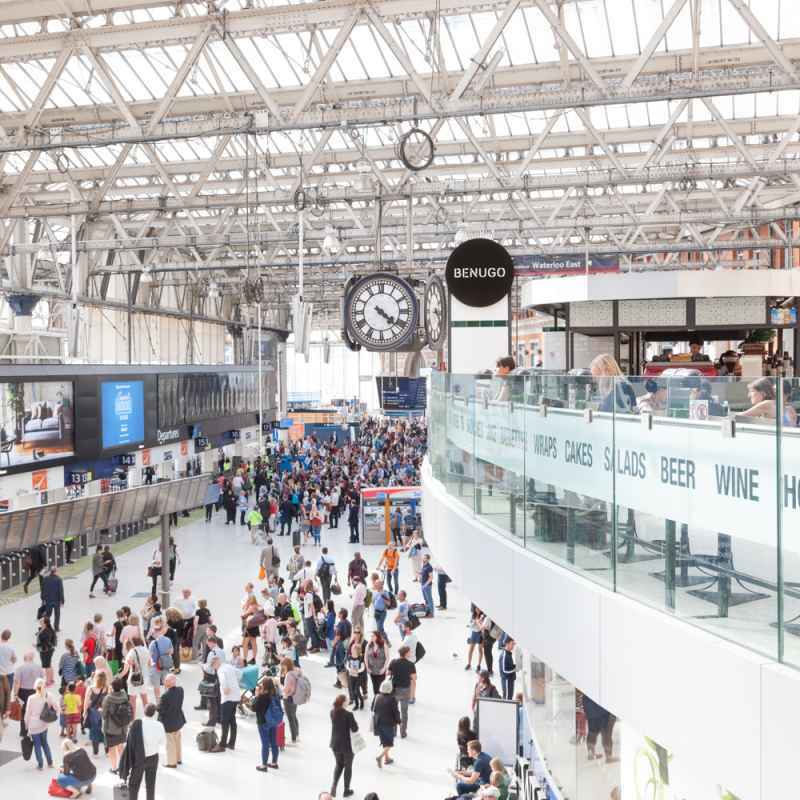 In nearly 20 years of Benugo cafés, we've perfected the warm, welcoming atmosphere our customers love for coffee, breakfast, sandwiches and cakes to eat in or take away. 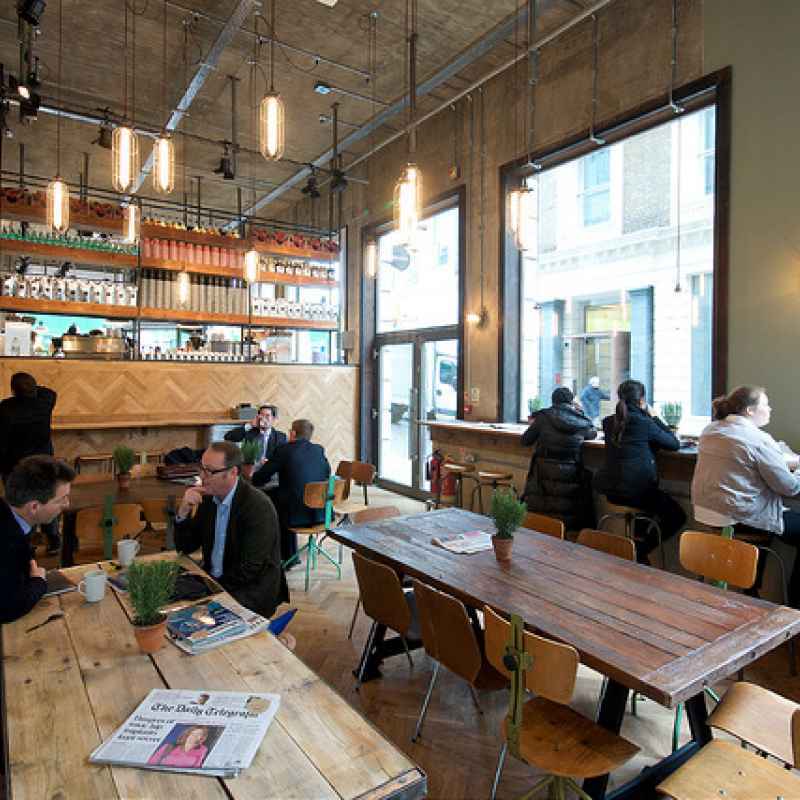 One of the reasons the London Lifestyle Awards have awarded us twice 'London Coffee Shop of the Year'. 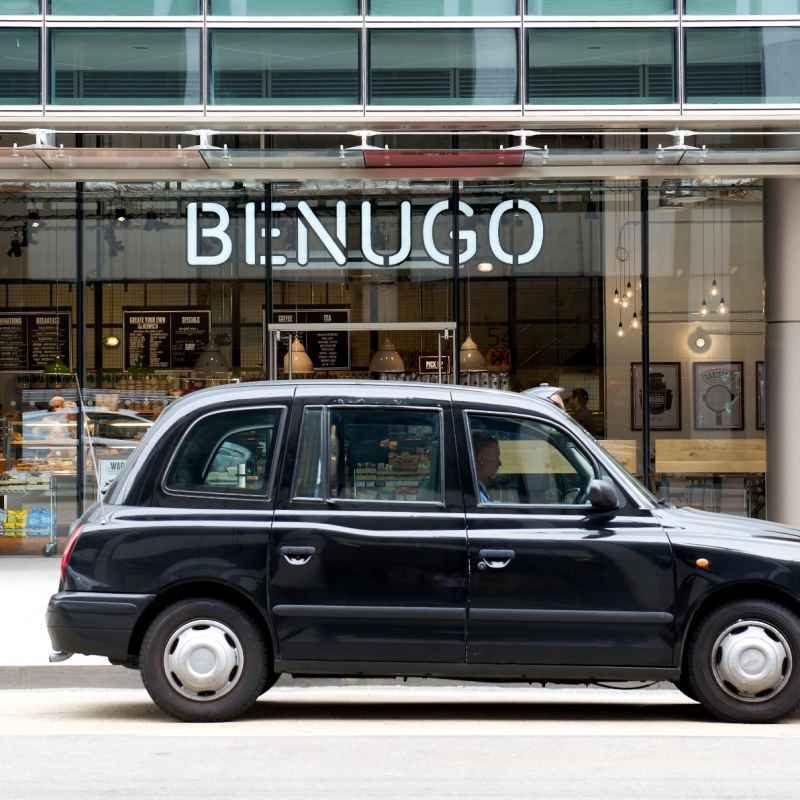 We pride ourselves on our local and responsible sourcing, serving exclusive Benugo coffee, organic milk and pastries and delicious cakes freshly baked in-house. 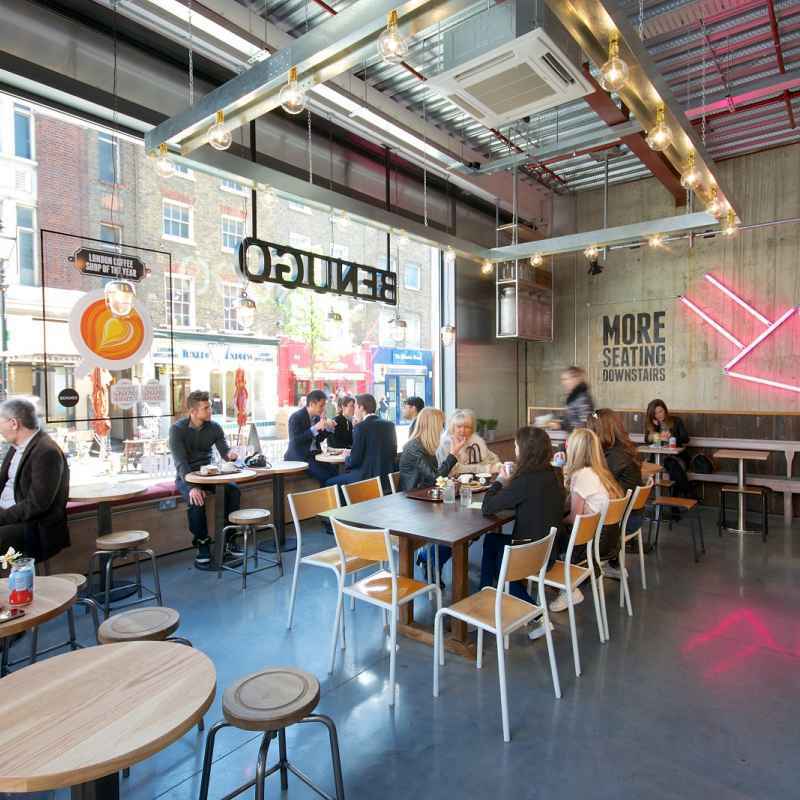 We're famous for our signature combination sandwiches and wraps - from the New Yorker toasted to your personal favourite choice of fillings, prepared for you from our counters. 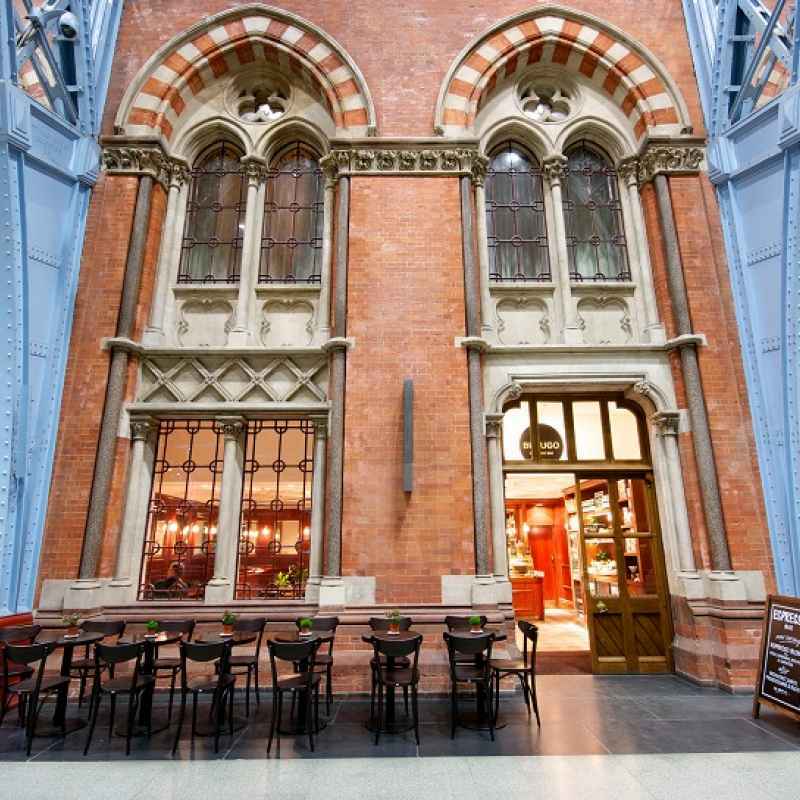 And it's hard to start the day better than with a breakfast croissant or Eggs Benugo. 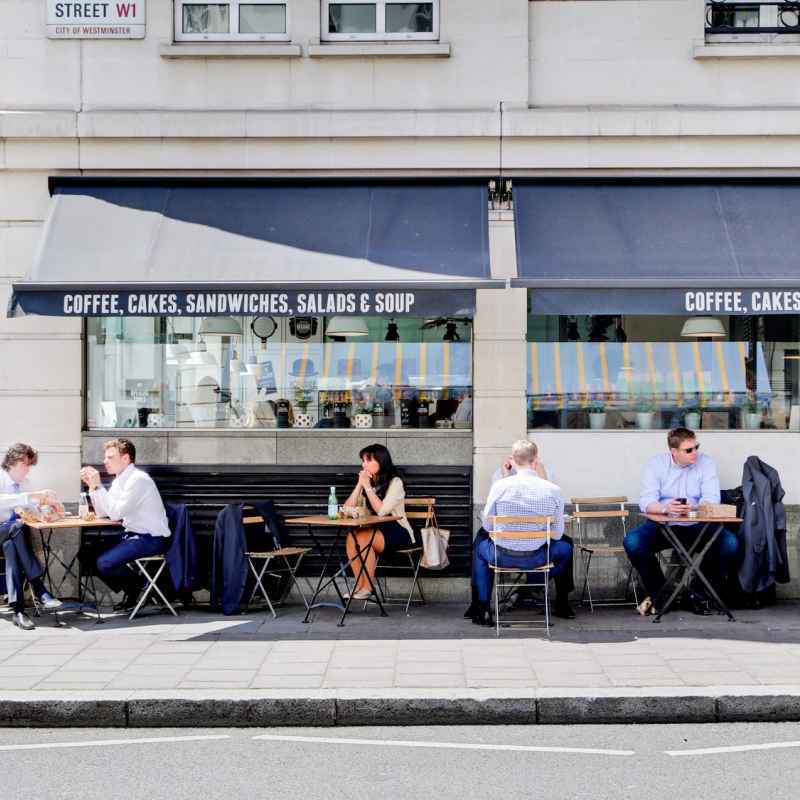 If you're on the move, our grab and go wrapped salads and sandwiches are just the ticket to go with a homemade juice or hot drink.